Open road interview series: William Green « Translator T.O. William Green is a Chinese to English freelance translator based in Melbourne, Australia. He is also the next Apple Watch winner in ProZ.com’s year-end campaign giveaway. All previous interviews in this series can be found here. Q. Your website indicates that you work as part of a team – could you elaborate on that? What are some advantages to working in a team as opposed to working as an individual? I used to work with others a lot more when I started out as a translator. I had an office job and did translation on the side. Having another job meant that doing the work with others and splitting the proceeds was my best option. The amount of translation work I receive has increased over the years and so I left my office job last year to focus on translation full-time. I’ve been working less with others since then, although I still work quite a bit with my partner (she is Chinese, but has lived in Australia since middle school). There are occasions where the project is exceptionally large and then I will try to find other people. One big advantage to working in a team is that you can accept a much larger quantity of work. Another major advantage is having someone to ask if you don’t understand something in the other language. Q. What are your favorite types of projects to work on? Probably finance and video games. I grew up playing video games and so I find it generally to be quite familiar and/or easy work. It also tends to come in large batches which is generally a good thing. There’s a lot of transcreation involved in game dialogue which can be quite fun as well. In terms of finance, I have a bit of background knowledge in finance and read a lot of finance news in my free time as I find it very interesting. It’s a field where you need a fair bit of extra knowledge to do it well, which is always a plus when finding work and setting rates. Q. Are you optimistic about the future of the translation industry? I think that robotics and computers will certainly be replacing a lot of white and blue collar jobs in the future, but I am more optimistic about the translation industry than for a lot of other fields. Even if translation software significantly improves, I think that you will still need to hire people to edit whatever the computer produces. So I think the main difference in that future translation industry will be that translators will get a boost in the number of words they can translate every day but their specialized skills will still be necessary to ensure the translation is accurate. That is still quite a difficult job. I believe this is still a long way down the line and that there isn’t too much to worry about just yet. At the moment, I don’t think e.g. Google Translate is good enough to actually use in this way, at least for CN>EN. I doubt that translation software can get a lot better without a major advance in artificial intelligence because at some point you actually need to know what the words mean. Q. How has being a member of ProZ.com helped you meet your freelance objectives? ProZ.com has a really great jobs board and the Blue Board is very useful for checking whether an agency or client will be reliable. I think you need to be careful and intelligent about how you go about applying and who you work with. I have run into some dodgy agencies. But overall it is a fantastic opportunity to start work as a translator. It will help you get your foot in the door. Whether or not you can turn that opportunity into something more depends on whether you can keep your clients/agency clients coming back. That’s up to you. Q. The theme of this campaign is ‘The Open Road’. What is next for you in your career? My main focus at the moment in terms of doing something new or exciting in translation is in incorporating more technology into the job. This includes getting better at CAT tools, building better term databases, and also finding new ways to translate which make the work itself much easier. For example, if you don’t want to look at a computer screen, you can always print the original text and then record yourself speaking the English. High quality audio transcription software can do a really good job at putting your recording into words. That means you don’t have to type a lot and that means less strain on your body if it’s a huge job. 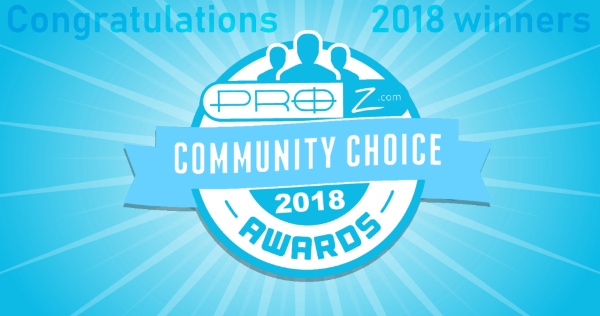 Are you interested in entering this contest to win an Apple Watch, or even a brand new Nissan Juke, all while purchasing or renewing your ProZ.com membership at a discounted price? Visit the campaign page for more details on how to enter this giveaway. Don’t wait! The campaign ends soon.